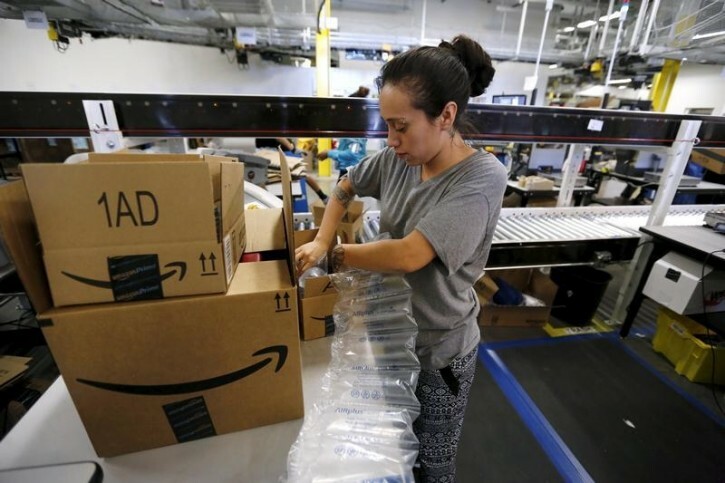 Robbinsville, NJ - Business is booming inside Amazon’s warehouse in New Jersey, but residents say the holiday rush has led to gridlock on nearby roads. Robbinsville Mayor Dave Fried threatened legal action Wednesday after Amazon only sent a public affairs staffer to a meeting to discuss solutions to the traffic that’s clogged area roads. Fried says the meeting was supposed to include operations officials. NJ.com reports (http://bit.ly/1luhVxr ) traffic grinds to a halt for miles when the fulfillment center’s more than 4,000 employees are going in and out of the facility during rush hour. Fried says the infrastructure wasn’t built to handle this much car volume. He hopes Amazon can change or stagger shifts. He says police officers have begun manipulating traffic lights to direct traffic. That cost is being paid by Amazon. Amazon officials didn’t immediately return an email seeking comment. Information from: NJ Advance Media. “New York - An Israeli man and a Polish woman were reunited Wednesday in New York, seven decades after her Catholic family saved him during the Holocaust. Michael...” New York - Holocaust Survivor, Rescuer Reunited In New York City “Manchester, NH - Chris Christie is fresh off his 50th day of campaigning in New Hampshire, a state where the New Jersey governor has recently won critical endorsements...” Manchester, NH - Chris Christie Is Doing Well In NH. Will That Be Enough? Boo hoo! Area residents have employment! Boo hoo! They get paid and pay local taxes! Boo hoo! They spend their earnings locally! Boo hoo! Mayor Dave Fried prefers the bucolic benefits of fewer people going to work! G-d bless America, where even a fool can be a mayor. “ Boo hoo! Area residents have employment!